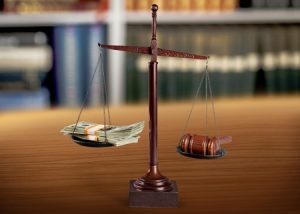 In Florida, alimony comes in many forms and is based upon various factors. Our team takes the time to deeply understand the circumstances of each of our clients because we understand there are many variables that greatly affect the outcome. What Was The Length Of Marriage? Depending on the duration of the marriage, alimony might be short-term or long-term. The exact amount is not set by state law. Instead, it is based upon the amount of income available (or could be available) to each spouse. In addition, alimony can be based upon the financial needs of the requesting spouse. We work with our clients to understand their standard of living during the marriage, as this often plays a role in setting alimony. There are also circumstances under which the rehabilitative option may be ordered for a spouse who needs specific training or education before they can enter the workforce at a certain level. Having strong representation during this process can help ensure that you have the best outcome possible. At Caplan Bankruptcy and Family Law Firm, you can rest assured that you’ll be navigating the process under the guidance of an experienced team that takes pride in going above and beyond to represent our clients.